There has never been a development in Marbella like ?The World Marbella?. Arquitectonic design, the use of new materials and the latest technologies in construction are the three main pillars of this splendid project of luxury apartments. position and the curved covered terraces, which are extensions of the interior living space, the complex will enjoy excellent views across the Mediterranean. The build size of the units range from a built area of 370 m2 to 650 m2 of which the terraces are all between 150-300 m2 with prices starting from ?1.250.000 up to ?3.450.000. All the luxury apartments are comprised of three to four bedroom suites finished to the highest standards featuring high ceilings and full size windows to make the very best use of natural Mediterranean light. This cutting edge design is present throughout the home. The garden floor units are duplexes leading to an open huge underground level with daylight. The penthouses offer private sky terraces which can be designed as your own bespoke space to enjoy a ?Top of the World Experience?. The two splendid infinity pools together with the children?s pool that reproduces the world map, the common area of various uses like spa, gym, social hall, sports area, etc. turn the whole project of luxury apartments into a landscaped extension of leisure and wellness immersed in light and freshness with a reminiscence of the most outstanding international spots. 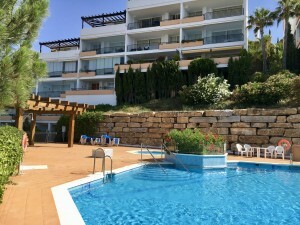 Discover ?The World Marbella?, a development of luxury apartments as exciting and unique as its array of varied international residents. On a 32.600 m2 plot, our new development of five unique buildings of luxury apartments representing the world map will be interacting with their surroundings, allowing enough parking space for visitors all around them and at the same time creating a running/cycling track. The social hall, spa and fitness areas are integrated in the spacious indoor communal area. The extensive garden harbours two infinity pools and a children?s pool. Nearby the sports area with tennis/padel courts and a children?s playground. Enjoy the new luxury development of Marbella. The 112 unique modern apartments are comprised of three, four or five bedroom suites finished to the highest standards. These modern apartments will have high ceilings and full size windows to make the very best use of natural light. The large terraces of curved design are massive extensions of the interior living space allowing stunning views to the Mediterranean. Open plan kitchens of cutting edge quality design are integrated into living area creating a friendly atmosphere. A special lay out of ground floor units allow large underground space. The penthouses are in duplex with sky terraces to be designed as a personal bespoke area to enjoy a ?Top of the World? experience. Leisure and wellnes are highly important factors to determine one?s decision where to spend our happiest moments. The World Marbella> Idyllic Prime Location Situated in the heart of the golden mile, a few steps away from a leading commercial centre, less than a kilometre away from the sea, tennis clubs, golf courses, leading hotels, Marbella town centre, Puerto Banus, etc. Terrific road and motorway access whereby nearly every destination is reached within minutes. 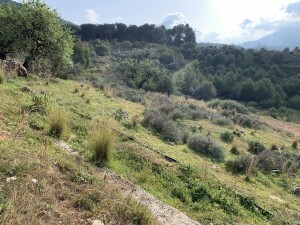 are you looking for an outstanding investment opportunity in Marbella? 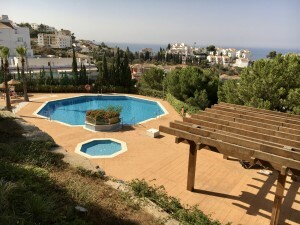 The World Marbella is the premier investment opportunity currently in the early pre-construction phase of the project meaning prices are also at the initial offering level. Having such a remarkable and unique project unrivalled by any other project past or present in Marbella or even Spain for that matter we are experiencing a high level of interest from investors as well as end-users. There is no secret in the fact that the earlier you present yourself to good opportunities the better the outcome, therefore now is an excellent if not pivotal time to invest in The World Marbella in order to achieve the best ROI possible. Being rather conservative prices are expected to rise between 15-20% nearing completion especially and naturally. This is an absolutely clear cut and very sound investment opportunity following Marbella ?s leading developer of luxury properties since 1986.